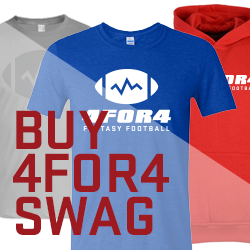 4for4's LeagueSync allows you to sync your custom 4for4 league with your CBS, ESPN, MyFantasyLeague or Yahoo! league. You can easily import rosters and enhance your 4for4 experience. 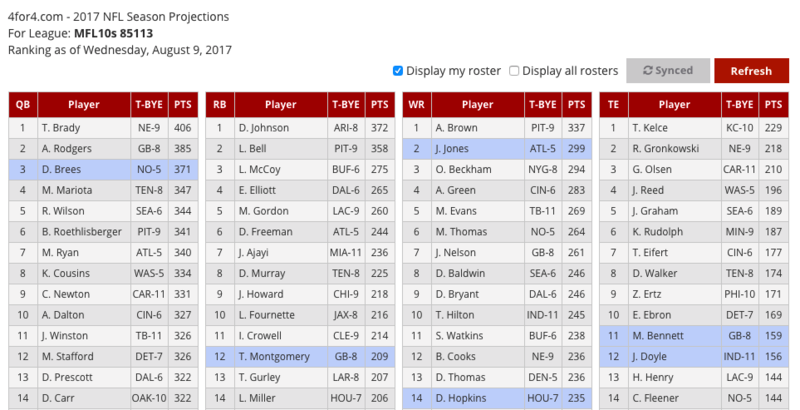 Once synced with LeagueSync, players on your team, other teams and on the waiver wire are accessible in our Sortable Rankings, 1-Page Cheat Sheets, Redraft Cheat Sheets, Fantasy News and Weekly Assistant Coach. LeagueSync is available to all Pro and DFS subscribers. LeagueSync Makes Sit-Start & Waiver Wire Dead Simple.